Well, one of my sad pictures. Even tough It may not seem sad. >.< Art © Heathere. 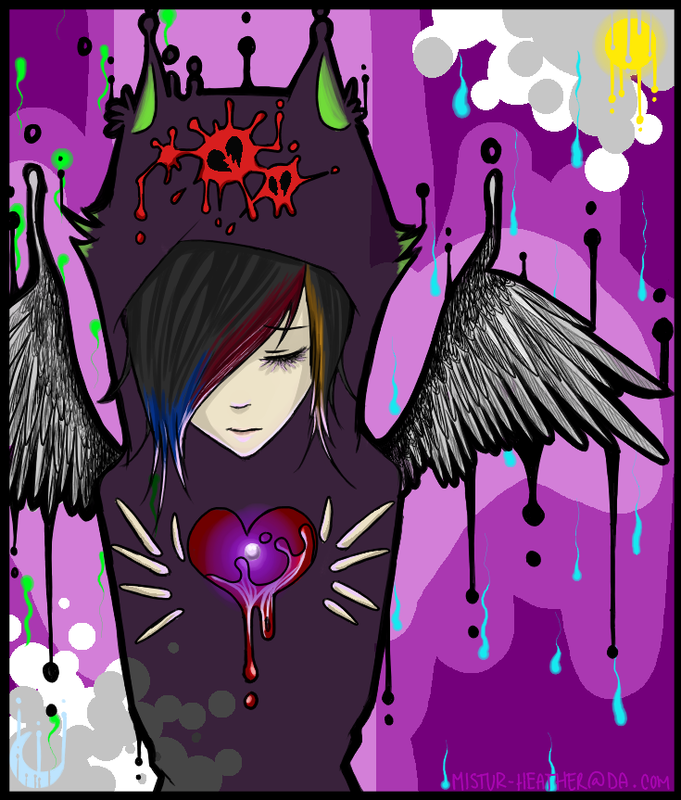 If I see this anywhere else besides Deviant Art, I will beat the living shoot out of you. Damn you ART THEIFS. depression is a lovely thing sometimes..
i love the picture,its really beautiful,especially the wings, i love them! Just really really sad. Thoughts of Action, but never doing it.